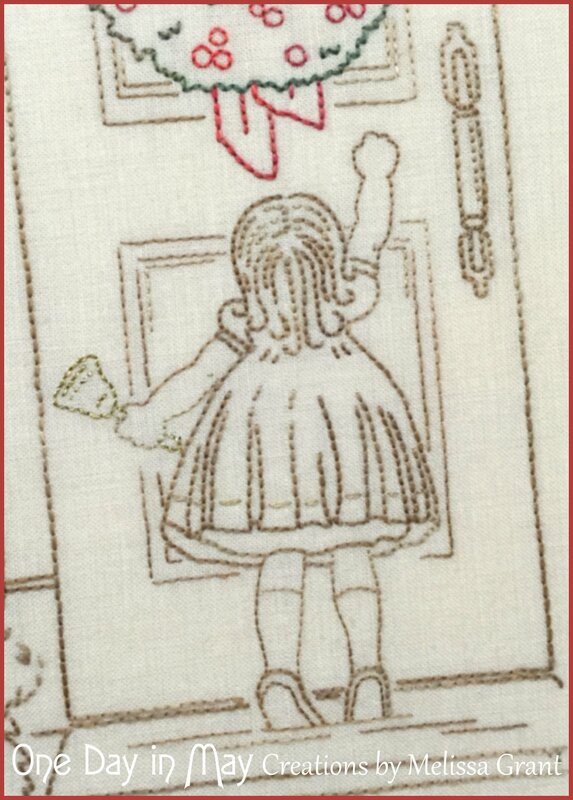 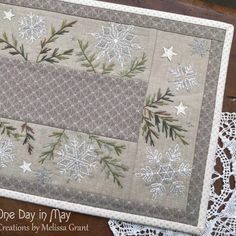 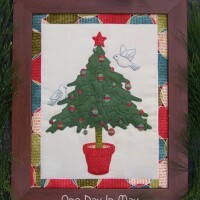 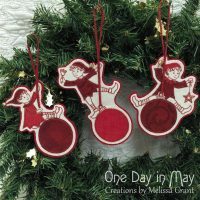 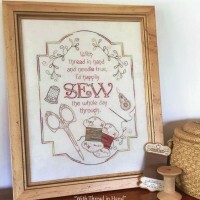 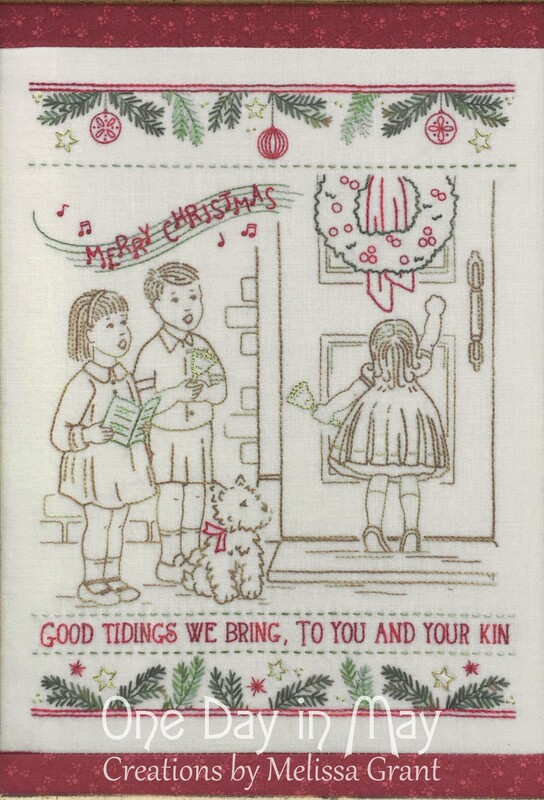 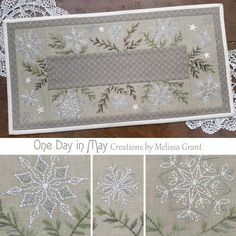 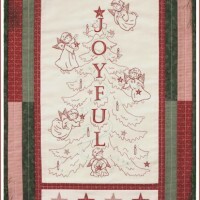 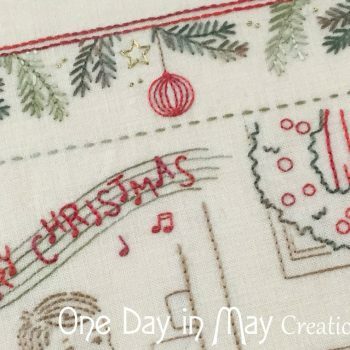 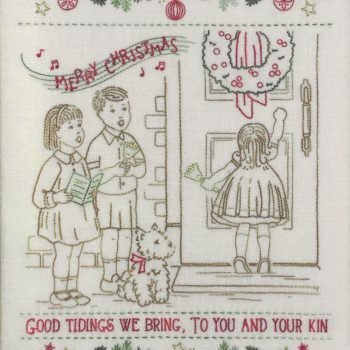 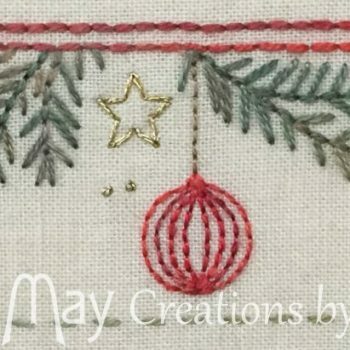 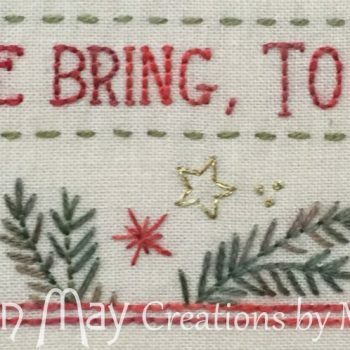 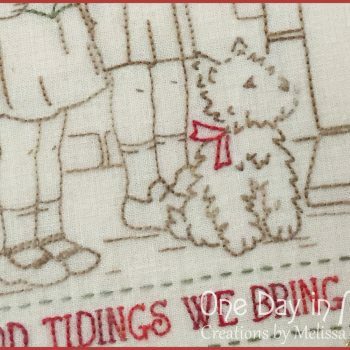 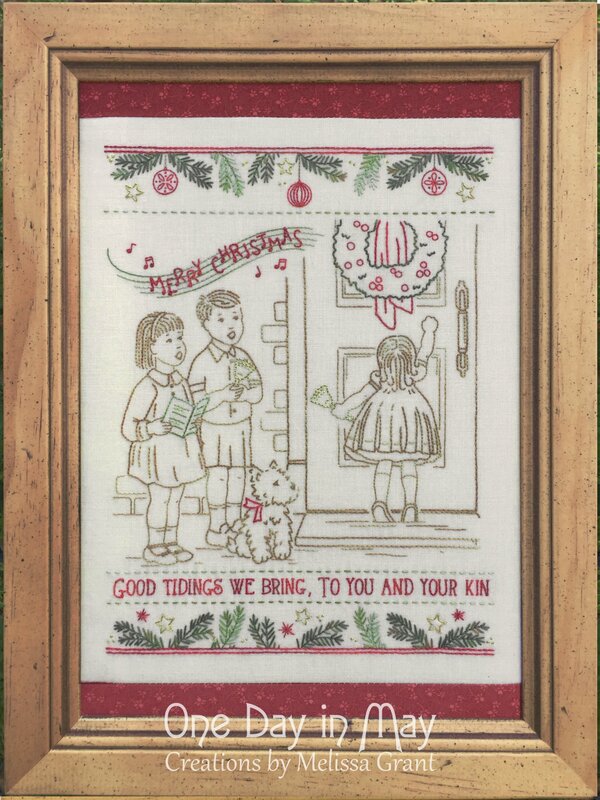 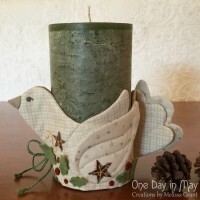 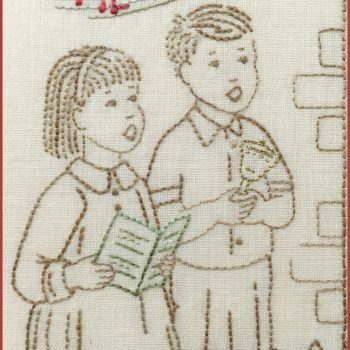 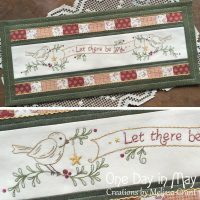 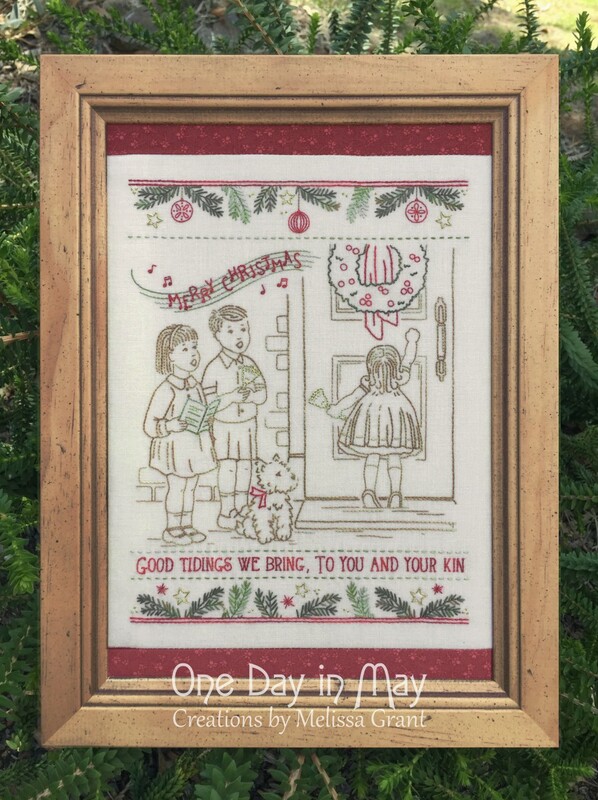 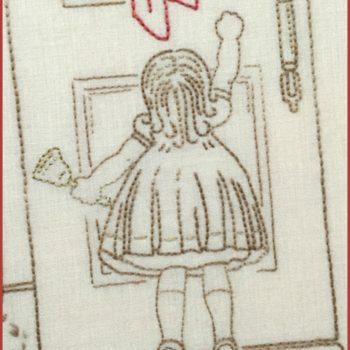 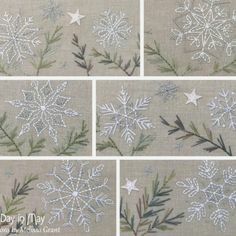 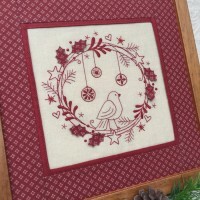 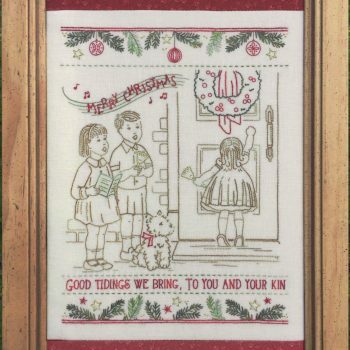 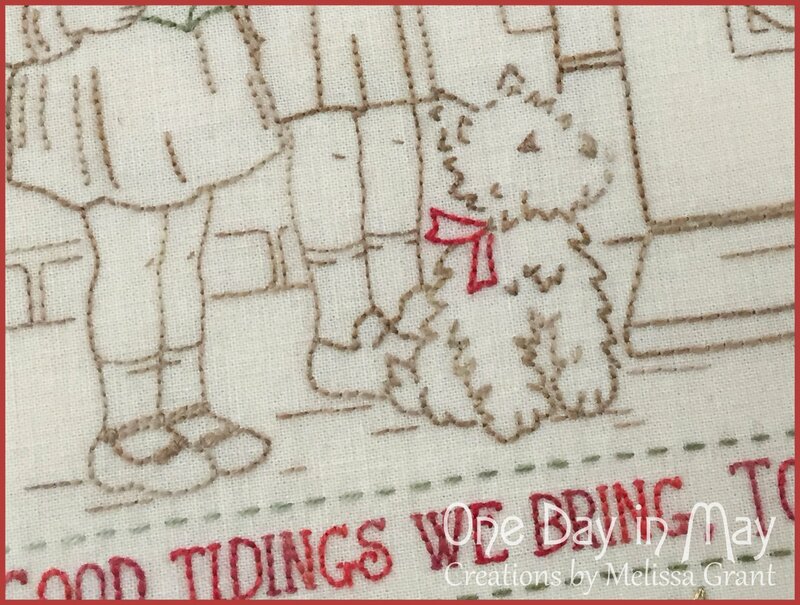 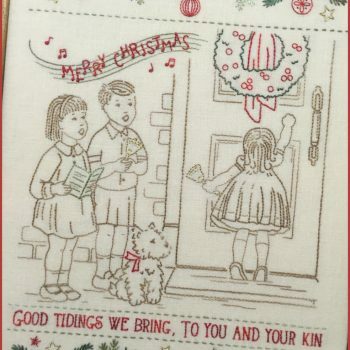 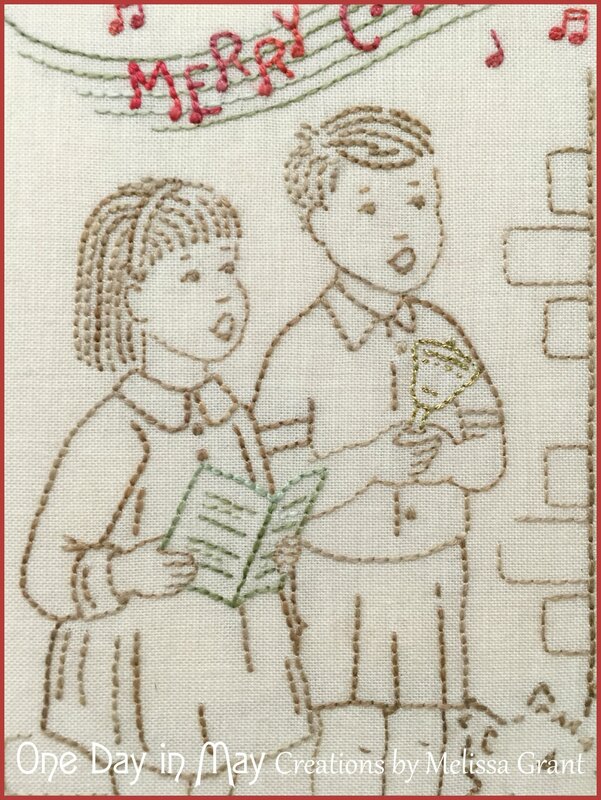 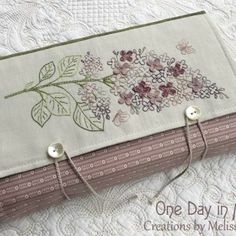 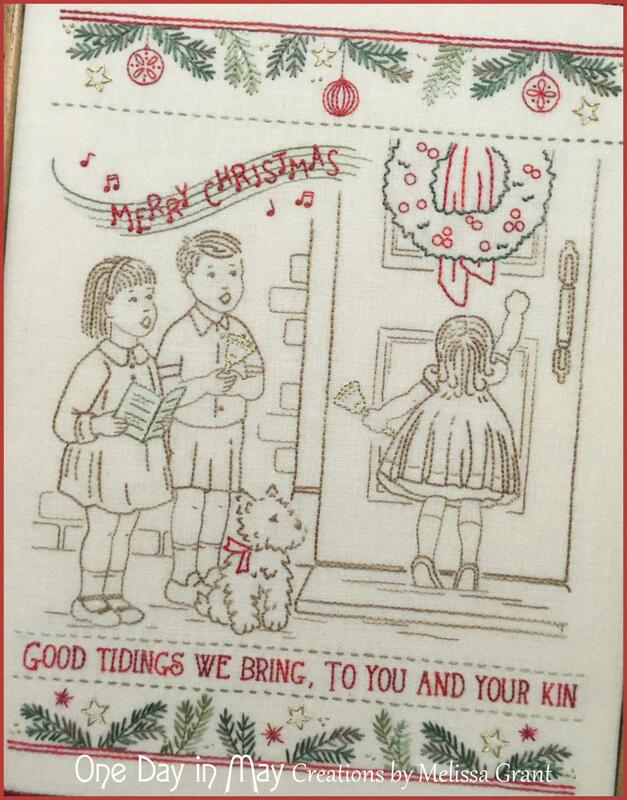 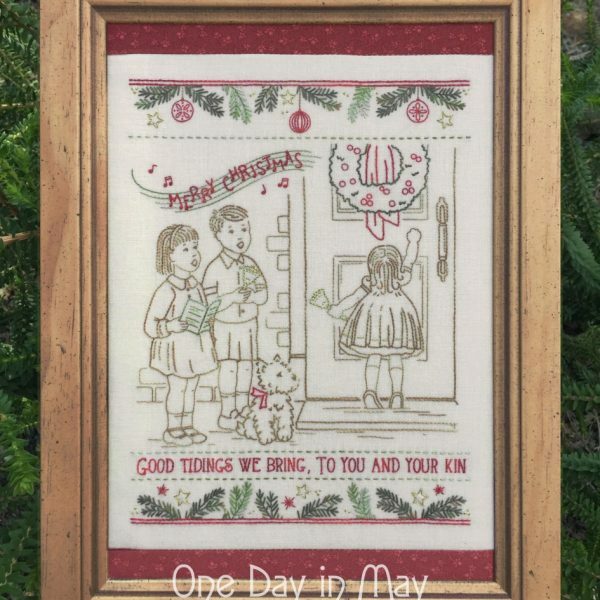 ♦ NOTE – Please visit THIS PAGE if you are looking for the thread and transfer pack to accompany my “We wish you a…” pattern, recently published in Homespun Magazine. 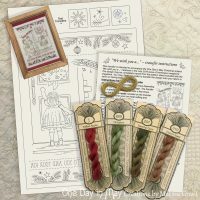 – 4 different skeins of variegated, stranded cotton – a light brown, red, lighter green & darker green. 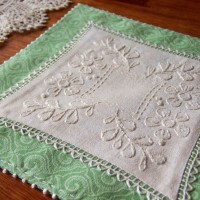 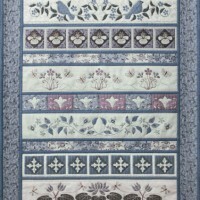 I used Cottage Garden Threads… Carrot Seed 310, Toffee Apple 1, Oregano 809 and Swamp Gum 207.